Being an entrepreneur or a businessman is a big responsibility as you are supposed to carry a big organization on your back. Not just that but also you have to make sure that the people you are working with are working in an environment where they do not have to face any issues regarding problems like their safety and security. 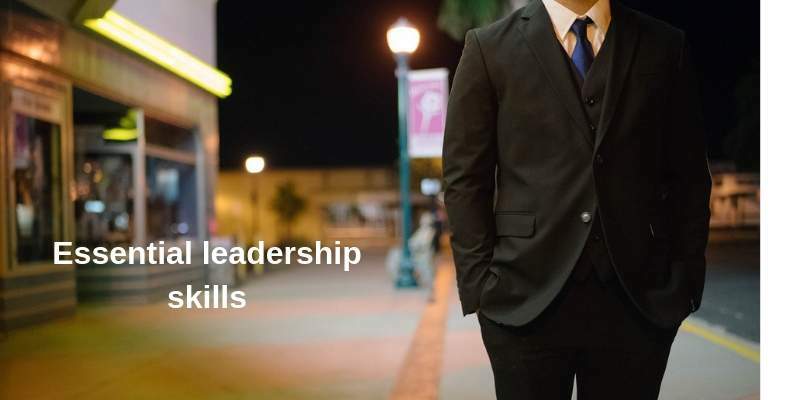 So, today in this article we are going to talk about 7 leadership skills that are essential in business. So, let’s get started. The first skill for being an effective and successful businessman is that you need to have really good communication skills. This means that you should be able to understand what a person wants to tell you without having to ask them again and again. The same thing goes for your speech too which means that you should be able to deliver whatever information that you want others to know in one go without having to repeat it over and over again. Running an organization is always filled with dynamic end results which can be anything from changing your policy for advertising or to making any changes in the pricing policy. So, for this, a leader is supposed to have a strategical mindset because such changes require plans that are not easy to make and leave a great effect on the business in case of any issues. In a firm, there is a number of people working for and beside you. You may never know if someone has an amazing business idea until you make them feel like they are in a safe and appreciative environment. So, make sure that you are open to suggestions and ideas. In a case like being a leader where you have to work around a big number of people, it is important that you are of the things that are happening in the organization. This means that you should have an insight into both the ground level management and top-tier management. Being an entrepreneur or a Businessman is a job which only a responsible person can handle. This means that for a person who wants to pursue leadership and also wants to make his business a successful one, one thing that he needs the most is Integrity. This refers to being honest and unbiased to the mistakes or achievements made by others in the organization. Certainly you will find rip-offs everywhere. This is something which is quite common in the modern world and businesses follow this trend quite heavily. Thus, for a leader who is looking to make their business successful, they need to be innovative. Last but not least, the skill that you are supposed to have in order to become a successful leader and businessman is that you should have delegation skills. This means that you should be able to spot the right person and assign them a task that they have a higher success rate of achieving. So, these are the 7 most essential leadership skills in business that every leader should master to have a flourishing future. In order to become a Successful businessman, one should always follow and take inspiration from a successful business coach like John Lusink. Ontario based John Lusink is a certified coach, instructor, and trainer, currently serves as a Director on the Toronto Real Estate Board and is the Chairman of the Government Relations Committee.